EPA’s ENERGY STAR® program invites your organization to build your own competition to save energy, water, or waste. Use no-cost guides and templates to help plan every step of your competition, from determining the framework to collecting and managing the data to celebrating successes and sharing best practices. 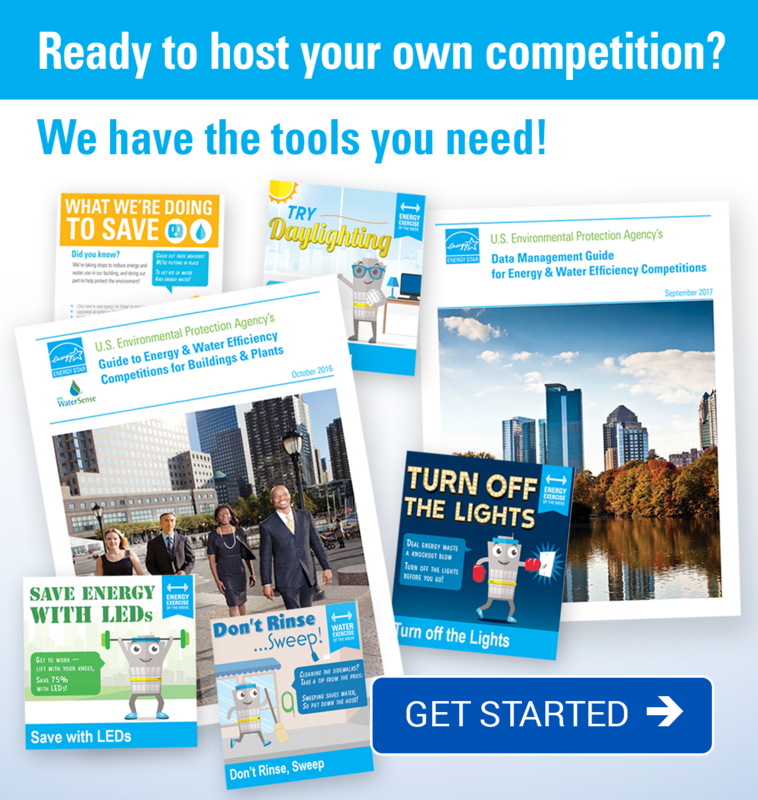 After several successful years hosting the ENERGY STAR National Building Competition: Battle of the Buildings, EPA is encouraging organizations like yours to build your own competition to save energy, water, or waste. Competitions can be a great way to motivate your team to find new efficiencies, engage occupants in your efforts, and multiply savings across your portfolio – all while helping the environment.